Closeout. 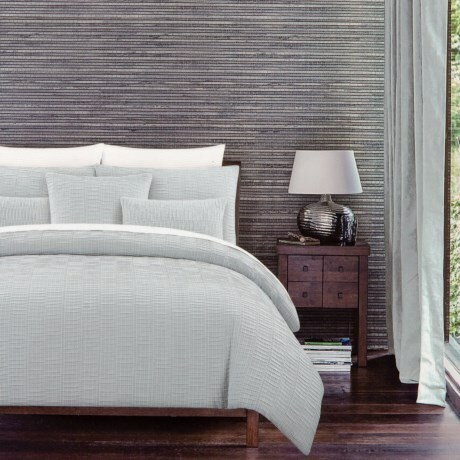 Lighten up your sleeping space in the warmer months with The Texture Collectionand#39;s Nora Textured Full-Queen duvet set, fashioned from yarn-dyed woven cotton with a textured finish for added flair. Available Colors: BLUE. Sizes: FULL/QUEEN.